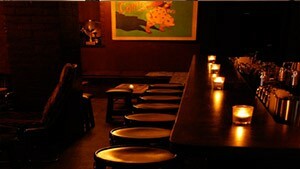 Happiness Forgets - The Perfect Bar For A Date! Happiness Forgets – The Perfect Bar For A Date! Let me just begin with Happiness Forgets’ ambience. I think I know why the ‘forgets’ – this little basement bar touches all the right spots to dunk you into a state of happiness and help you forget all your daily thoughts, chores and problems. The place just states what ‘intimate’ means – red enough walls to create a poetic background, but not too red as to intrude something screamingly excessive or gingerbread into your eyes; carefully picked music – the long gone tunes of the 50’s, perfect for sophisticated ears of jazz/soul/RnB lovers; cushions all over the place and just the perfect amount of light provided by candles on each table where no standing is allowed. I know I should have listed all this in more than one sentence but seriously, no one can talk about Happiness Forgets calmly and I think you can easily get to the point of agreeing with me. If you are not already impressed by the venue, we should talk about its menu. 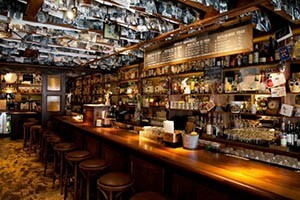 What is significant for the bar is that even though the cocktail menu is frequently changed, most of the clientele’s favorite classics remain on the list ever since the opening. You see how this is an important and rare feature – once you find your cup of…well, cocktail, it is natural that you want to go back some time and have the same drink again; and if it isn’t present on the menu anymore you cannot help but be disappointed. 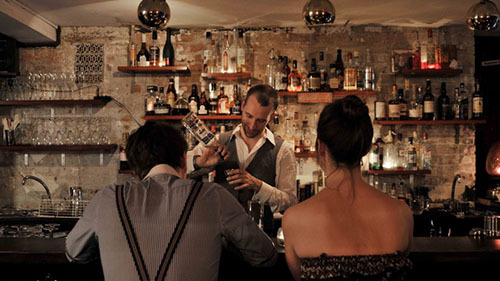 Also, the adept bartenders allow their customers to choose custom made drinks – if you have the desire to make an alteration in any cocktail recipe or even order a classic cocktail non-present in the menu, this will not pose as a problem. If you don’t yet have a favorite in Happiness Forgets, try the famous Eastside Fizz, Perfect Storm, Tantris Sidecar or Ward Eight. Or just look over the menu to get the overall idea. Now moving on to the next important part, the service, I cannot say I have any complaints. The waiters are competent, everything happens fast and every customer is cared for – don’t have doubt that your waiter would go out of his way to make you feel comfortable at the venue. What might be a problem is the tables. Firstly, the biggest ones of them can seat a maximum of 8 people so if you are planning on going to Happiness Forgets with a bigger group of friends – things might get a little complicated, to be fair your most advisable option is to gather a group no bigger than 3 people even if you are planning to book because such an intimate atmosphere expectedly means mostly small tables. Secondly, the latest hour for booking a table is 8 pm which…we know isn’t always possible. Nor is being on time somewhere in London which brings us to the third flaw – if by any chance you are more than 15 minutes late for your reservation, the table you’ve booked is no longer available…And becoming such a popular venue, Happiness Forgets provides you with no other chance to enter, any day of the week, apart from a table booked well in advance. Still, with a bit of luck with the booking and a careful sight not to miss the rather unpresentable entrance, Happiness Forgets at the Hoxton Square won’t have you worry about anything. When wondering how to make up the perfect night and impress your date providing yourself a next going out – this little venue is your answer!